However, her personal journey has had its rough moments beginning with an eating disorder which began between middle school and high school. 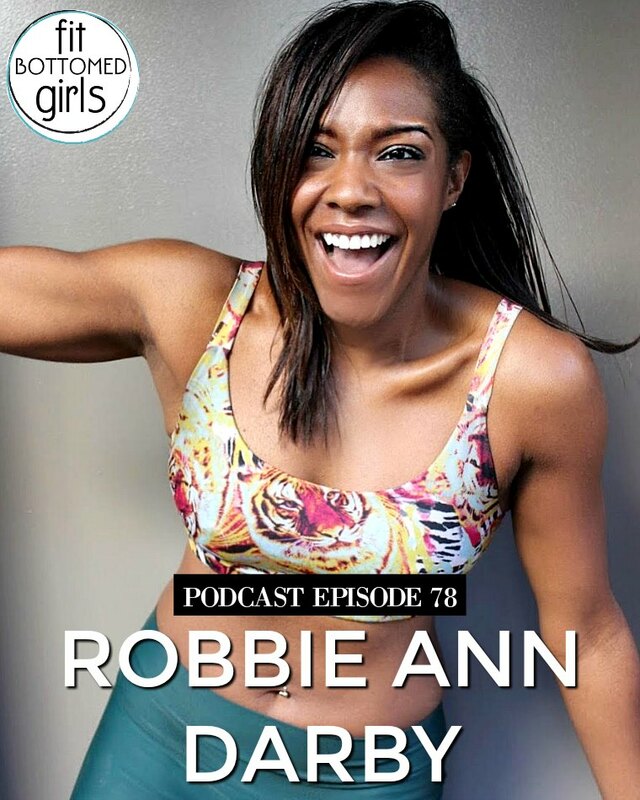 The pressure to stay thin and popular, as well as Robbie’s admitted perfectionism, created the perfect storm for disordered eating that lasted well into grad school. She’s vocal about her struggle as well as her recovery in the hopes that she can help others face their issues in a more positive way. 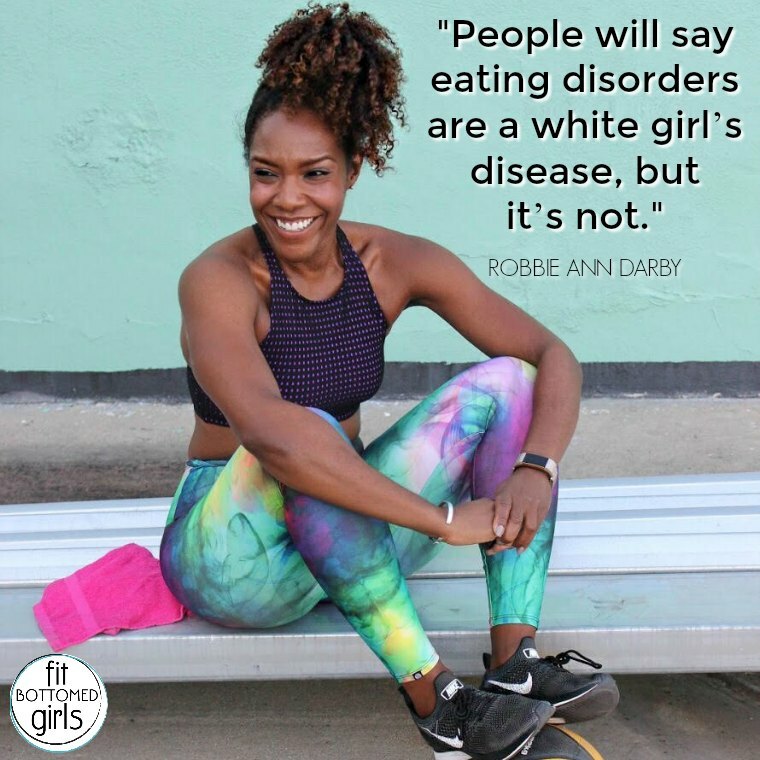 After years of therapy, Robbie now serves as a role model for women, and especially women of color, who are struggling with their own food and self-image issues. 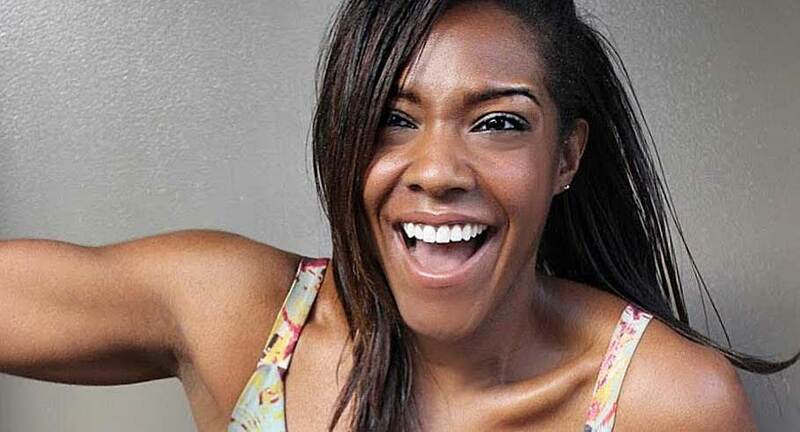 The L.A.-based actress/model/fitness instructor is passionate about this mission, but she also gets pretty darn excited about the best mascara and lip stains to last through a workout session. Plus, in this fun ep, she also talks about filling her wardrobe with colorful athletic gear — years in New York City created an almost all-black wardrobe that needed some sprucing up! Did you know that FBG now has a pair of exclusive leggings made by Four Athletics? They’re available for purchase now (and they are so cute and they have amazing pockets) — but only until April 25. So! Be sure to grab a pair (you can get them right here) while they’re still available! Plus, the FBGs are super excited about our new pair of leggings created especially for us and our followers by Four Athletics. Get the episode with Robbie Ann Darby here or below!